First time customer of Cigar Terminal. What a great experience. From time of order to delivery was less than 2 weeks. Perfect packaging. Very nice selection of cigars. I will be ordering from Cigar Terminal from now on! This was my first order and wow was I impressed! 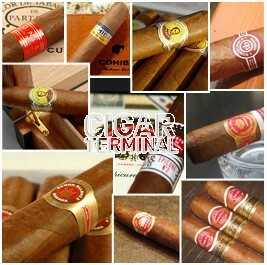 Quick shipping, packed well and a fine assortment of Cuban cigars. Some are small but well worth the money. A great assortment of flavors. Thanks, you definitely have made a customer in me! What a great way to taste all the different flavors of Cuban cigars. These maybe the smaller sizes but they are delicious! Super fast delivery and perfectly packaged.